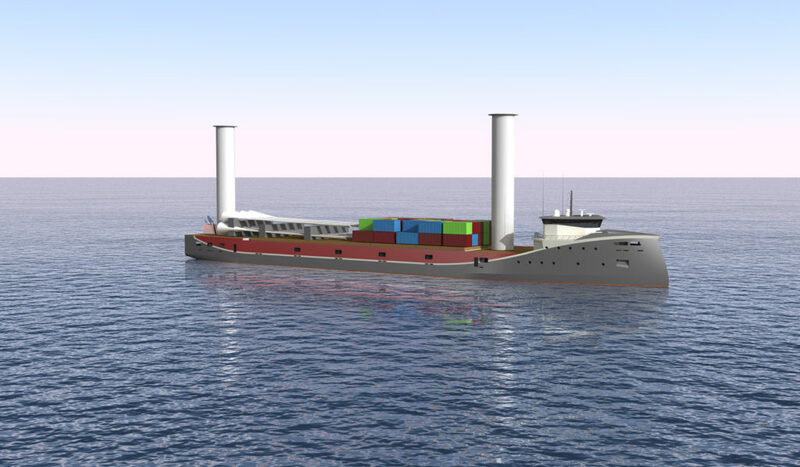 Switijnk Shipping is aiming to develop a hybrid Flettner Freighter to contribute mitigating climate change and leading the transition towards sustainable shipping in both economic as environmental terms. The FF7500 design has been rendered by C-Job Naval Architects and features two Flettner rotors, one on the aft and one just behind the deck house. Recent research undertaken by German institute Hochschule Emden/Leer confirms that the FF8500 configuration is expected to be most efficient, as is shown by various computer modelling. Switijnk Shipping is currently in touch with business partners, potential investors and technicians to take the next steps in its development. Home News FF8500 design rendering ready!